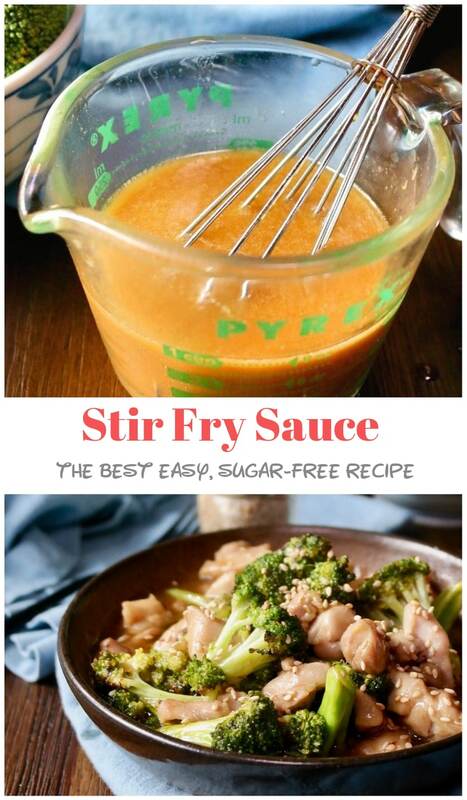 This is the only stir fry sauce recipe you’ll need to pour over your beef, pork, shrimp or chicken with veggies! Easy, healthy & delicious! 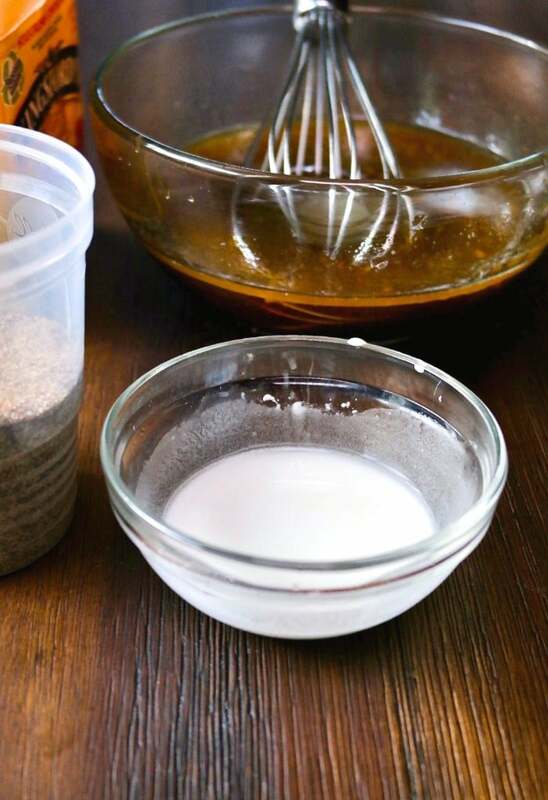 Homemade sauce is super simple to make and compared to the store bought version that often adds caramel coloring, this sauce is much better for you. Many pre-made sauces are loaded with sodium and sugar, so a simple meal of sautéed veggies and a protein can quickly turn into a health hazard. Dramatic much? HA! That may be a little overboard, but seriously this recipe can be completely customized by leaving out sugar and using a low carb or no-carb thickener. For this recipe I used one tablespoon or cornstarch to slightly thicken the sauce, which can be adjusted to your preference. Keep in mind that cornstarch does add carbohydrates. 7 carbs to be exact, which is minimal in my opinion, so I use it in this sauce. 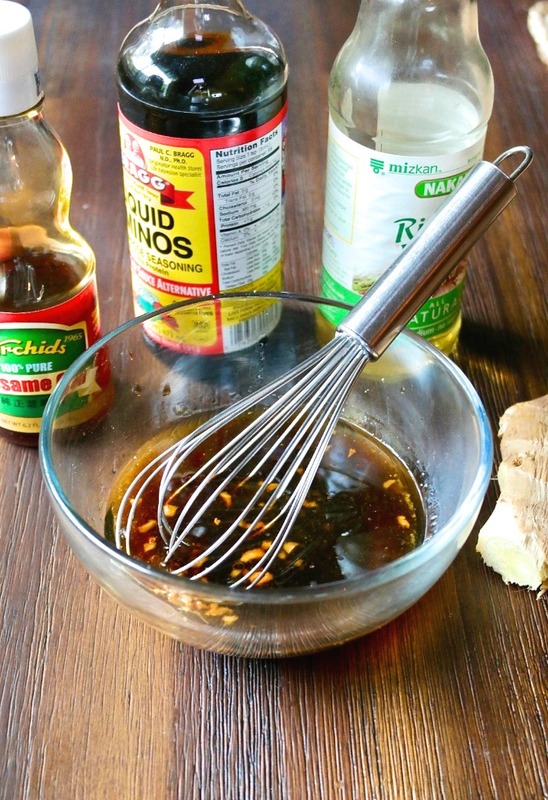 You can quickly add flavor to protein like chicken or beef by using this sauce as a marinade. Simply add the meat to the sauce and let it soak in the flavors for about 15-20 minutes before cooking. In addition, this can also use this as a basting sauce. This is particularly tasty over grilled shrimp. 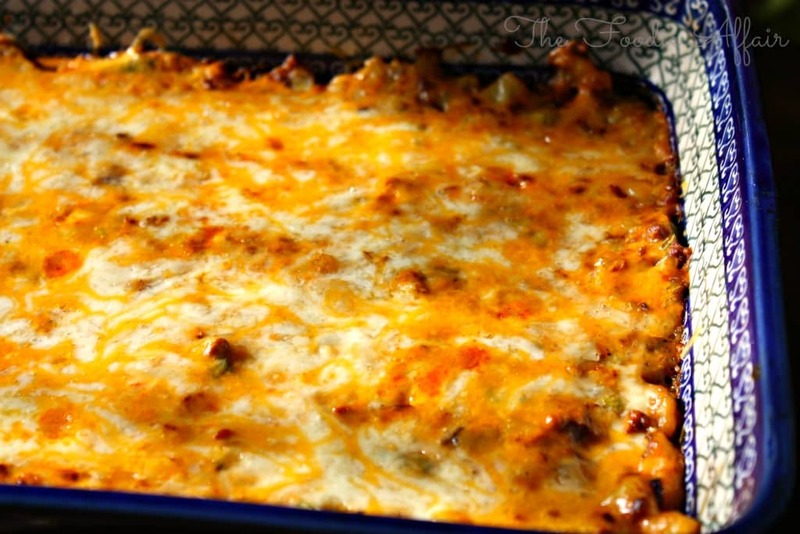 This recipe makes one cup of sauce which is perfect for a pound of meat and 3-4 cups of vegetables. Double or triple the ingredients (shake before using) and store in the refrigerator. For this recipe I used the base of chicken bullion with water for flavor, which I would recommend if you want to keep this ready-made in your refrigerator. Fresh homemade chicken broth or stock will last about 4-5 days refrigerated. Saute 3-4 cups of vegetables in 1 tablespoon of high-heat oil like avocado for about 4 minutes. Remove from pan and keep warm. Add protein to pan (more oil may be needed) and cook until done. Put vegetables back in the pan with the protein. Pour sauce over cooked meat and vegetables and cook on medium high heat until the sauce thickens (about 2 minutes). 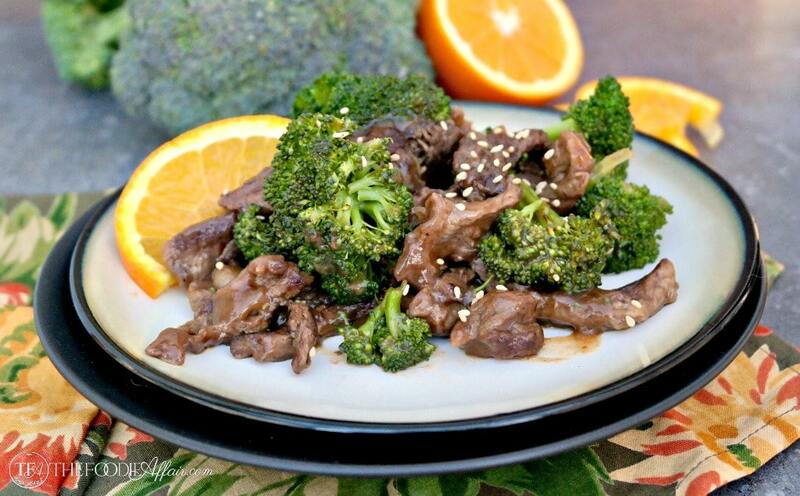 Give this Beef and Broccoli Stir Fry with orange juice a try! 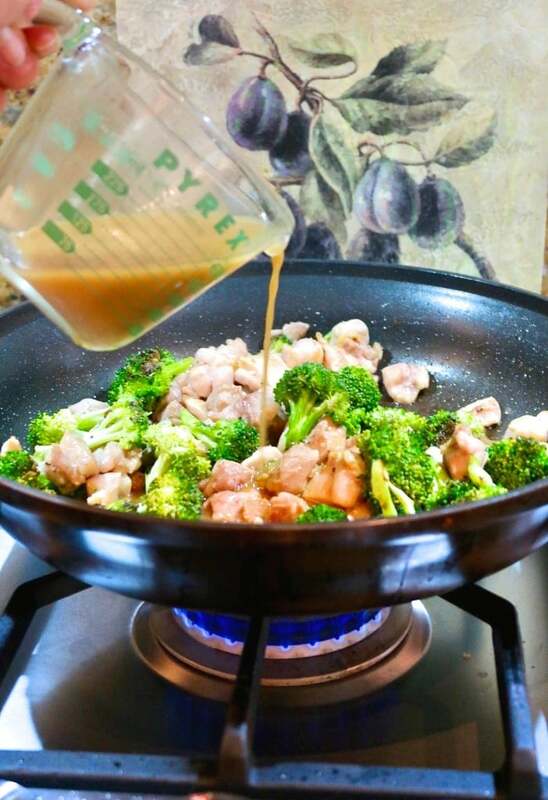 This easy stir stir fry sauce will be your go-to recipe for a quick and delicious sauce over vegetables, beef, pork, chicken or shrimp! Mince ginger and garlic and place in a small bowl. Add liquid aminos, broth, sesame oil, rice vinegar and whisk all ingredients together. In s separate small bowl mix together cornstarch and water until smooth. Add to sauce and mix until incorporated. Store in a mason jar or use right away. There are a variety of thickeners you can use in this recipe: Cornstarch, arrowroot, ground psyllium husk or ground chia seeds. Cornstarch and arrowroot will add a small amount of carbs. Low sodium soy sauce can be substituted for the liquid aminos. Change the broth to mimic your main protein. For example, use beef broth for a beef stir-fry. You may also use vegetable broth for a neutral stir-fry base. Easy and delicious! I love this sauce! I usually mix mine up on demand, but I actually love the idea of making a batch ahead of time. I’m the same Robin. The option to have this stir fry sauce ready is nice to have when you plan your meals in advance. I love homemade sauces and that this one is so versatile for any protein or even a veggie fry! This recipe really was Awesome. I added red pepper flakes for a spicy sitr fry. Everyone in my family loved it, including the picky eaters. I didn’t have to change anything. Thank you so much! I should put that option in the instructions to add some heat! Sometimes I toss in Sriracha sauce. Thanks for stopping by, Mary! Its so easy to whip this up! And so much better than what id been using! This is going to be regularly in our dinner rotation —- we all LOVED it! I never thought to make this as a big batch! This will save me a lot of time. I love making my own sauces. They always taste better than the bottled ones. This one sounds great. I will be making this soon. The low/no carb substitutions are brilliant! I can’t wait to share this with my folks! This was a really good stir fry sauce!! I cooked up some chicken and veggies for lunch! Thank you! I can’t wait to use this stir fry sauce recipe for a quick and healthy lunch!!! There is nothing better than homemade stirfry sauce. 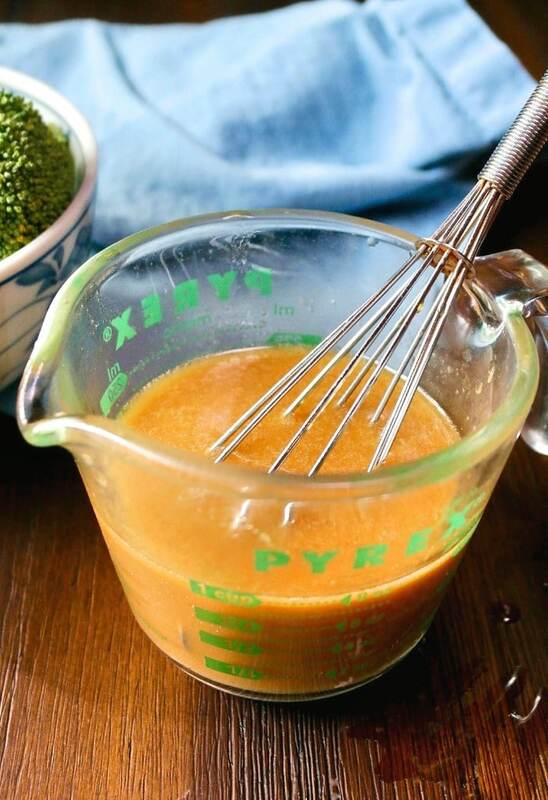 This sauce is looking so good and it will be perfect for stir-fried broccoli. 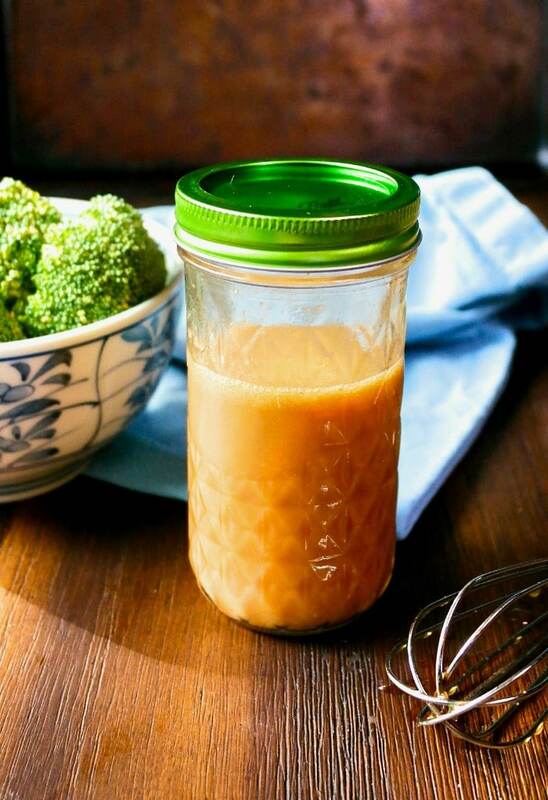 Yes, whipping up this sauce an easy way to liven up veggies like broccoli! This is so much better than any other sauce I have had! 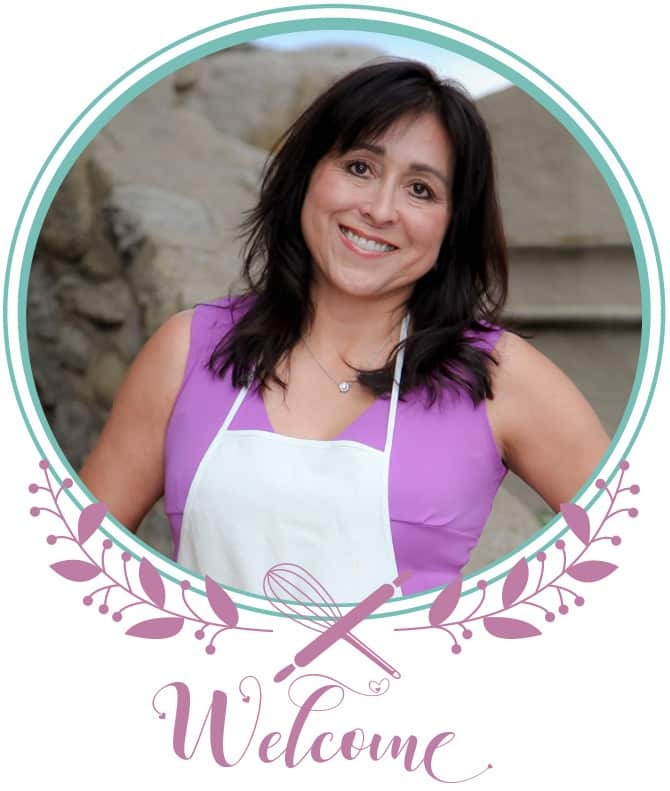 I love that you use liquid aminos because I use them in so many recipes! !